What (If Anything) Did the Best High School Movies of All Time Teach Us ? For some, high school (or secondary school as it’s known this side of the pond) is a terrifying prospect but, watching some of the best high school movies of all time can make it seem like a super exciting adventure. But what, if anything, did these movies actually teach us? We take a look at the top high school movies of our time, to see if they set us up for disappointment or actually delivered any worthwhile life lessons. As we look forward to the prequel of Grease, a short four decades down the line from the first movie premiere, we wonder exactly what did the pupils and teachers of Rydell High teach us? First, we learn that you can be 28 and still play an eighteen-year-old in American high school movies! Olivia Newton-John was closer to thirty than twenty when filming began, but she certainly wasn’t the oldest. In fact, it was the actor that played Rizzo, Stockard Channing, who was 33 when filming began. Secondly, Grease taught us that high school can change a person. Rather controversially telling us that giving in to peer pressure is the best and most fun way of getting through high school. Sandy’s transformation from the wholesome, clean-cut Sandra Dee into a lycra, leather-clad vixen makes us think that good girls never get what they want. A far cry from the messages we want to instil in the young women of today. #2 Webcams are a bad idea! This high school movie is certainly one that shows us many social traps that the modern student can fall into. At the end of the day, if we take anything from American Pie, it’s that your friends will always encourage you to do the stupidest things you will ever do in your life. 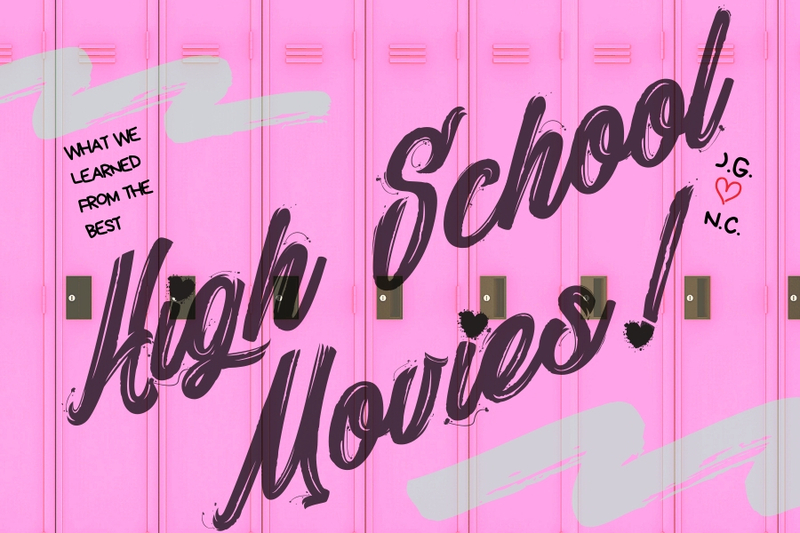 An amazing high school movie that helped shape pop culture as we know it, Mean Girls paints a horrifying picture of what high school can be like if you don’t fit in with the “in” crowd. But what did Mean Girls actually teach us? Well, aside from that we certainly get a glimpse of what to expect when it comes to high school hierarchy. Through this, we are shown how easy it is to manipulate those around you, enter three-way phone calls and well-placed candy canes. But, the most important message that comes out of all those first-year social tortures is that it’s only a year and you have another few years in school to find out where you fit in. A true ode to the 90s, Clueless gave us mere mortals an idea of what it was like to grow up Beverly Hills. This modern high school movie classic was actually loosely based on Jane Austen’s Emma and shows us that even the best intentions can end with ghastly consequences. Cher sees herself as a gifted matchmaker, who only has other’s best intentions at heart, but being forever focused on self-promotion, she loses sight of what real friendship and kindness is. Clueless makes us understand that, whilst we all would like a friend like Cher, we need to follow our own judgement and not let others choose our paths for us. One of the greatest lessons ever taught in a high school movie can be learned by watching The Breakfast Club. Set in day-long detention, a group of five are flung together, all from different social groups. A jock, a geek, a preppy girl, an outcast and a rebel begin to bond and share their experiences both at home and in school. The group learn that no matter which group you fit into, or where you came from, your life problems are usually similar. So far ahead of its time, the message of equality is powerful in The Breakfast Club and certainly shows us what it would be like if we all let go of our prejudice. A phenomenon that swept the globe back in 2006, High School Musical gave young people everywhere the hope that they could simply sing their way through school. The biggest high school movie of the year raked 7.7 million views at its premiere and the soundtrack quickly climbed the charts too. Thankfully, there was an important message underneath all the white teeth and wholesomeness that encouraged viewers to embrace their dreams and look after their friend’s wishes. It may not seem like it to many a high school student, but school is only a small portion of life, and believe it or not, probably the best bit. Although not a great scholastic lesson, Ferris Bueller’s Day Off shows us that sometimes taking a risk will pay off. Playing truant by faking illness, Ferris has the time of his life, driving a fancy sports car and becoming a temporary rock star. The message that this high school movie delivers is to seize the day, an important one that we all forget from time to time. Proof that life usually doesn’t get much better after high school, Never Been Kissed is a fantastic example of how unimportant social acceptance is in school when it comes to finding happiness and success in later life. The story of Josie Grossy is heartbreaking and her high school experiences go on to shape and restrict her adult life. Despite becoming a success, Josie never gets over how she was treated in high school and when she goes back to school as an undercover reporter, she’s determined not to make the same mistakes again. Never Been Kissed teaches us that life at the top isn’t always so rosy and in order to get there, you have to sacrifice your morals and integrity. In short, this high school movie lets us know everything will work out okay in the end, if we are true to who we are. A seriously terrifying high school movie that warns us all of the effects bullying can have, Carrie is a chilling film adaption of Stephen King’s first ever published novel. Taking us along on the high school journey of a sheltered young girl, who faces serious issues at home as well as in school, Carrie gives us an understanding of a bully victim’s world and the hardships they face. When poor Carrie falls victim to a bully’s revenge, things take a turn for the worse and the whole town pays. Carrie might be overkill, literally, but the message is simple, bullies are horrible human beings who always get their just desserts. On a lighter and much cheerier note, Bring It On is one of those high school movies that helps celebrate the underdog and makes us want to be a cheerleader along the way. At its heart, Bring It On celebrates honesty, integrity and a determination to do the right thing. When lead character, Torrance, inherits the captainship of her school’s award-winning cheer squad, she realises her entire cheer-career has been a lie. To change it she needs to alter her approach to life and, with the help of LA transfer student Missy, Torrance embarks on a journey of self-discovery and personal improvement. A real feel-good high school movie, with an amazing soundtrack, Bring It On is certainly one of our favourites. The best and super-baddest of all our high school movies, Superbad teaches us many life lessons. All of which are brought to us through a hilarious and unlikely set of coincidental scenarios. At the end of the movie we know that cops are people too, you should always look both ways before crossing the road, and good decisions are never made under the influence of alcohol. Superbad is one of the greatest high school movies ever made, despite mainly being set outside of school grounds. At Arthouse Hotel we’re mad about movies and enjoy schooling our audiences about some of the best out there. So, if you love movies as much as we do, check out some of our fun film facts based on some of our most popular movie-themed hotel suites. Read all about the Weird and Frightening Facts About the Wizard of Oz or the Unknown and Bizarre Mary Poppins Facts we unearthed. 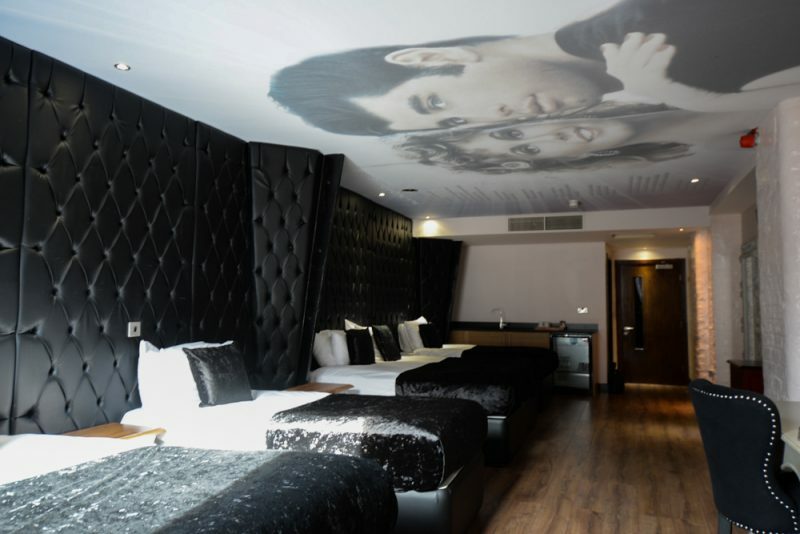 Call now and book your stay at Arthouse Hotel on 0151 236 0166 or check out some of our amazing accommodation offers for group and weekend breaks in Liverpool. This entry was tagged Arthouse Hotel, Movie themed hotel, Movie trivia, Musical movies. Bookmark the permalink.